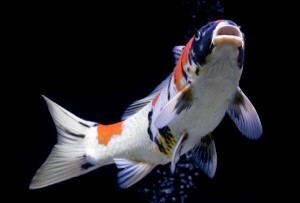 Squire’s Garden Centre in Washington, West Sussex, is holding their third annual Koi Carp Show on Sunday 9th July. The show is on from 10.30am-4.30pm and entrance is free. There will be eighteen vats of Koi Carp for customers to see, with each vat containing between one and eight Koi depending on their size. Suppliers will also be there to give advice, including Atlantis with their glass-fibre ponds, Oase who sell pond pumps, and NT labs who supply fish food and treatment products. Plus take advantage of 25% off all pond fish at Squire’s that day, and the Friday and Saturday before. As well as a fantastic display of show quality Koi Carp there will be reptiles for people to see and handle, including a Boa Constrictor, Leopard Gecko, Bearded Dragon, Pink Legged Millipedes and an Amazon Milk Frog. Chichester College will also be bringing along some animals, plus between 11am-3pm a local vet will be offering free pet advice and there’ll be free children’s face painting. So whether you’re a Koi Carp enthusiast or simply looking for a fun day out with the family, come to Squire’s in Washington on Sunday 9th July. Squire’s Garden Centre, London Road, Washington, RH20 3BP.